This one day Basic Sake Course introduces students to the essentials of sake across a comprehensive range of topics from cultural and history, sake brewing and the practicalities of choosing, storing and serving a bottle of sake. Students will also learn tips on how sake can be appreciated with food.This course is ideal for enthusiasts and culinary professionals alike, who are seeking to take the first step into understanding sake. Upon successful completion of this course, students will receive the Le Cordon Bleu Basic Certificate of Sake. 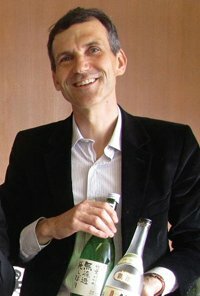 Certified Advanced Sake Professional (Sake Education Council), Sebastien is actively educating foreign residents and travelers to Japan about sake and its culture, through private and public events and sake tourism activities. As a sake consultant, lecturer and writer, he has engaged in various projects with international association, Union des Francais de l’Etranger, Association des Francais du Japon, Tokyo American Club. Originally from Normandy, France, Sebastien is now a long term resident in Tokyo and following his 20 year career as a financial expert, he has yielded to his passion for sharing Japanese culture. Alcohol will be served during this course so participants must be at least 20 years of age. When making your application, please be sure to use the name you would like on your certificate.